The function of flowers is sexual reproduction for plants. The showy display of petals, color and fragrance attracts pollinator insects, birds or bats, which ensures pollen gets from the flower stamen, the male reproductive organ, to the flower pistil, the female reproductive organ. Different types of flower and petal arrangements have evolved to attract different pollinators and form the beautiful array of flowers we get to see in our gardens and meadows. 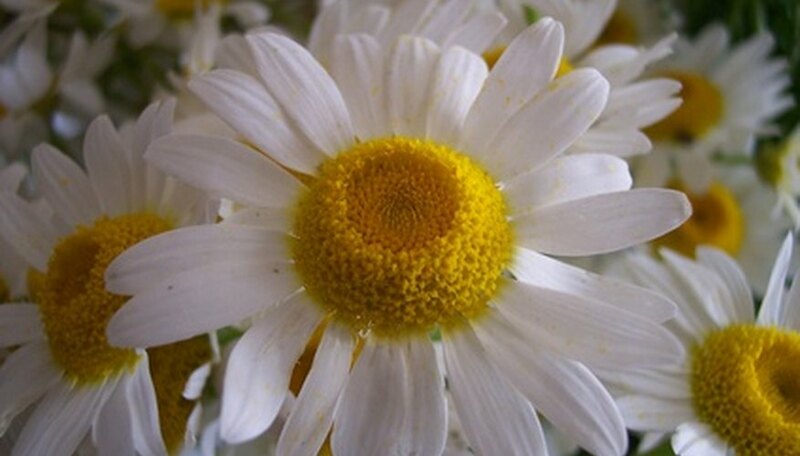 Common daisies, asters, and black-eyed susans are all composite flowers. What looks like one single flower is really a set, or inflorescence, of dozens of flowers of two types. Each outer flower petal is actually an individual ray flower, according to the Brandeis University Biology Department. The central disk of the flower is made up of dozens of small tubular flowers called disc flowers. The ray flowers surround the central disc flowers, creating the appearance of a single flower head. Gamapetalous flowers are those with petals that are united towards the base of the flower, forming a tube. According to the Botany Handbook for Florida, tube flowers grow in a number of variations. These include the funnel form, where the tube gradually widens but does not include distinct petal-ends, like a morning glory; the salver-form, with a long, thin tube that then opens out abruptly into flat petals called "limbs"; the rotate form, with a short tube section, then broad flat limbs, such as the elderberry or vinca flowers; and the urn-shaped tube flower, where the tube swells in a teardrop shape and the limbs recurve inward, as in a blueberry flower. Regular or symmetrical flowers are those which, when the flower is cut into equal quarters, each quarter has an equal portion of sepals and petals. Irregular or asymmetrical flowers fall into three classes, according to the Botany Handbook for Florida. These include the papilionaceous class, which includes legume flowers, having five petals: one large upright standard, two keel-petals to the sides of the standard, and two wings on each side of the keel. The labiate class, or mints, have an upper lobe split into two petals, and a lower lobe split into three petals. Finally the orchid class has three sepals and three petals, with the central lower petal curled into a lip. A freelance writer since 1978 and attorney since 1981, Cindy Hill has won awards for articles on organic agriculture and wild foods, and has published widely in the areas of law, public policy, local foods and gardening. She holds a B.A. in political science from State University of New York and a Master of Environmental Law and a J.D. from Vermont Law School. What Are the Parts of a Flower Stem? What Is a Simple Flower? What Is the Calyx of the Flower?